While the release date of Xiaomi Mi 6 is getting closer, the purported rumors about the features and specifications aren't getting halted. A few days back we got to know about the detailed specifications through a leaked image and they have matched up with the earlier rumors. 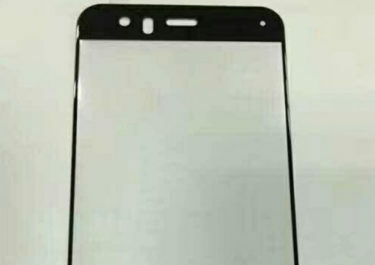 Later, a leak depicting the sim card tray had surfaced which indicated the possibility of water resistance feature in Mi 6 and in effect be without the 3.5mm audio jack. While we are yet to digest the rumors, a new leaked rumor has surfaced on Weibo about the Mi 6 hinting the presence of iris recognition scanner. 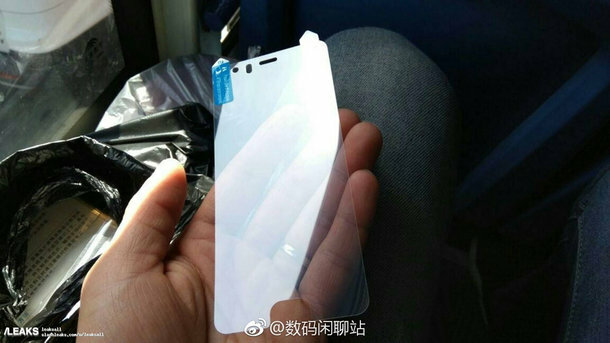 To affirm this, the images showing the display and tempered screen protector have been showcased that clearly indicated the presence of iris recognition sensor on the front side of the phone. Another interesting feature in the leak bespeaks that the Mi 6 is made of the ceramic body similar to Mi Mix. The ceramic body offers premium and luxurious look to the phone but is slow in production. Hence Mi fans could get quite disappointed to catch up the phone during initial days of the launch. While the ceramic body might be featured on top end model, all the other variants will feature in aluminum panels. As said above, Mi 6 will feature waterproof; the charging port has been taken care to support the waterproof. Rumors also indicate the plausibility to feature wireless charging that is very much important when it comes to integrating waterproof feature on smartphones.